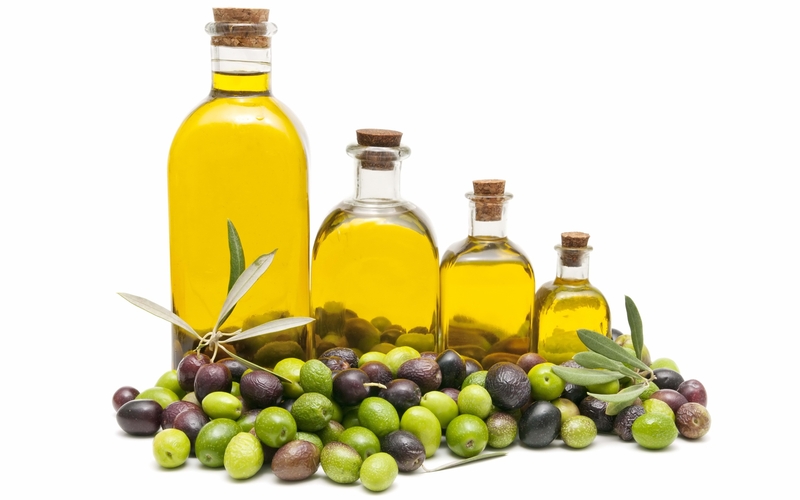 Olive oil – Olive oil is prepared from the juice of the olive which will get from the olive tree and it is a vegetable oil. It is used for cooking, traditional medicine, and cosmetics. Olive oil is also used as a fuel for oil lamps. It is found mostly in the Mediterranean regions. Lower the weight – As per research, olive oil is not related with increasing the weight or obesity. Mediterranean olive oil indicates positive effect with decrease in weight of a human body as per studies. The research proves that olive oil is beneficial in reducing the weight. Cure inflammation – Olive oil contains oleic acid and oleocanthal acts as antioxidant which helps in reducing the inflammation. Oleic acid is a fatty acid present in the olive oil also helps in prevent inflammation. Lower the risk of several types of cancer – The antioxidants present in the olive oil which helps in preventing the several types of cancer as per research. The olive oil also acts as an anti bacterial effective against a bacteria known as Helicobacter pylori which is responsible for stomach cancers. Oleic acid is present in the olive oil which prevents breast cancer. Prevent Alzheimer’s disease – The olive oil also beneficial for preventing Alzheimer’s disease. This disease is most common in the world. It also helps in positive effects on functioning of the brain as per research. Prevent strokes – The stroke is also a common disease in the world and is caused due to the disturbance of blood run into the brain, and also a blood clot or bleeding. The individual who consuming daily olive oil lower the risk of stroke. Lower the risk of heart attack – Olive oil is beneficial for preventing heart attack and other heart diseases due to it lowers the blood pressure and LDL bad cholesterol which is harmful for heart. Beneficial for type 2 diabetes – As per research, olive oil helps in reducing the risk of type 2 diabetes due to controls the blood sugar level. Treat Rheumatoid Arthritis – Olive oil is beneficial for lower the joint pain and swelling from rheumatoid arthritis. Rheumatoid arthritis is an autoimmune disease which is caused by deformed and painful joints. Reduce hypertension – As per research, olive oil contain unsaturated fats which helps in reduce hypertension.